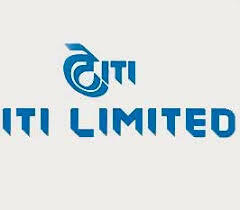 Bengaluru, April 12, 2019: ITI Limited, a Public Sector Undertaking under DoT announced the turnover of Rs. 2051 Crore (unaudited) for the financial year ended on March 31, 2019 (corresponding figure for the financial year 2017-18 was Rs. 1703 Crore). The Company has posted 20% growth in revenue during 2018-19 as compared to 5.7% during 2017-18. Highlighting the company’s achievement for the year 2018-19, Shri K Alagesan, Chairman & Managing Director, ITI Limited said, “It is yet another year of accomplishment for ITI and this signifies ITI’s commitment for sustained growth. We believe that the positive and motivating measures have really yielded good results. For the new financial year, we believe that we have a sound order book and I hope to achieve much better results. Company’s performance for current financial year has invigorated us to further strengthen our business verticals like Smart Energy Meters, ICT-IOT, Mini PC manufacturing, Data Center hosting services, manufacturing of Rupay and Master cards with a focus on design and development of indigenous products and technologies. This is in addition to manufacturing of wide range of communication products, secured communication products for defence and manufacturing & component screening services for Indian space programs. With interalia, the Revival Package support from Government of India, execution of BharatNet phase 2 projects and rejuvenated manpower, the turnover of the company has improved.